September brings back to school, crisp evenings, a quieter Canmore and larch season! If you are lucky enough to visit Canmore in the fall, live here, or are a short drive away, we encourage you to pop by Silvertip for lunch or dinner on the Rustica Patio, or to play a round of golf! The Silvertip Golf Course is open the whole month of September and closes for the 2018 golf season on October 1, 2018. The course is in tip-top shape, thanks to our incredible Turf Team! After a smoky August, we hope for clearer skies and increased visibility of the breathtaking mountain views throughout the month of September! So far, so good as we head straight into the fall season. If you are lucky, while dining or enjoying a drink on the Rustica patio, you may see the odd bear on the 28th green. 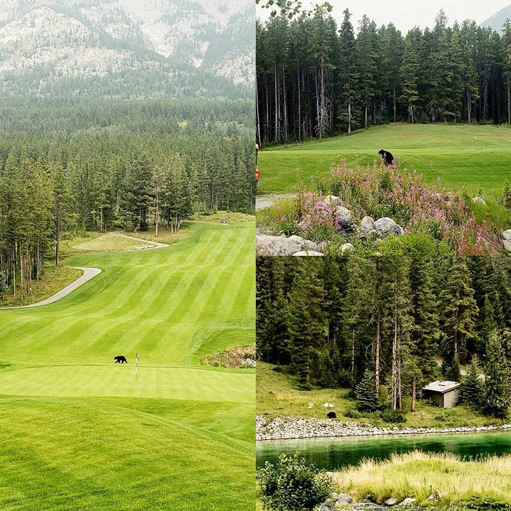 In the middle of August, Silvertip had a medium sized black bear hanging around the course, and many of our guests were able to enjoy the show from the Rustica Patio. 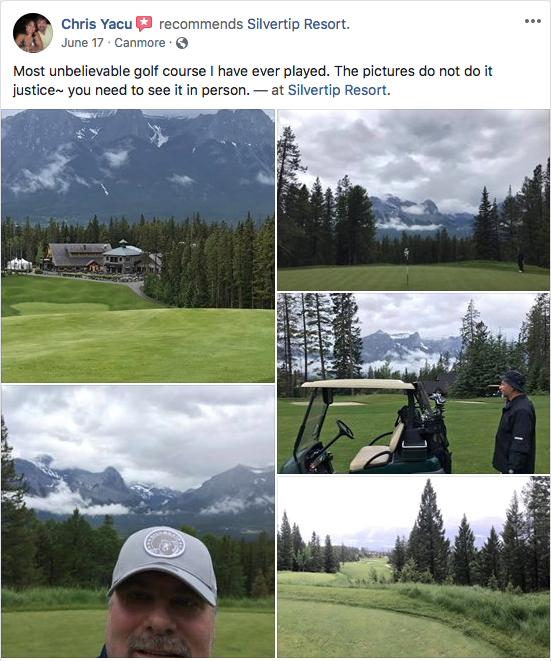 Because Silvertip sits along a wildlife corridor and there are plenty of berries and for the bears on the Silvertip Golf course, which means black bear and even Grizzly bear sightings are not unusual. If you plan to dine with us, we are excited to announce DATE NIGHT IS BACK. Date night in Rustica includes a 3-course meal and a bottle of wine from the sommelier select list for $129 per couple. You can see the Date Night menu here. This menu if offered daily from 5 PM – 9 PM in the Rustica Restaurant at Silvertip. If you happen to be at Silvertip between 2 PM – 5 PM, you are lucky enough to catch our happy hour in Rustica and Stoney’s. Join us for drink specials and appetizer specials this fall! It has been a fun and busy summer at Silvertip and we can’t wait to see what fall brings us!